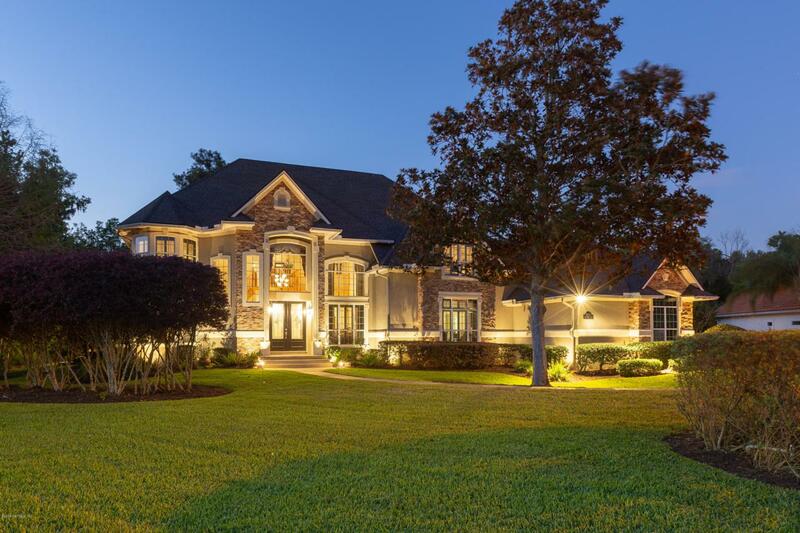 This stately custom designed home has navigable water with boat dock and lift. The spectacular 1.86-acre lot is located in The Preserve at Eagle Harbor. Enjoy views of an expansive screened enclosed heated pool and spa with an entertainment space centered around an elaborate outdoor kitchen & fireplace. A two-story Gathering room absorbs beautiful light and brings a natural setting into the home. Elegant Gourmet Kitchen w/gas cooktop is a chef's dream! Downstairs has a master suite with custom closet accompanied by a downstairs guest suite with a full private bathroom. Upstairs offers 3 bedrooms with en suite bathrooms. A large bonus room highlights a design with ample space and flexibility. Words do not describe the EXPANSIVE GORGEOUS LOT! This home is truly a MUST SEE! ***PLEASE SEE THE UPGRADES AND IMPROVEMENT*** SHEET***This stately custom designed home has navigable water with boat dock and lift. The spectacular 1.86 acre lot is located in The Preserve at Eagle Harbor. Enjoy views of an expansive screened enclosed heated pool and spa with an entertainment space centered around an elaborate outdoor kitchen & fireplace. A two story Gathering room absorbs beautiful light and brings a natural setting into the home. Elegant Gourmet Kitchen w/gas cooktop is a chef's dream! Downstairs has a master suite with custom closet accompanied by a downstairs guest suite with a full private bathroom. Upstairs offers 3 bedrooms with en suite bathrooms. A large bonus room highlights a design with ample space and flexibility. Words do not describe the EXPANSIVE GORGEOUS LOT! This home is truly a MUST SEE!